AFTER a successful campaign to fund a new community narrowboat the Leicestershire-based Baldwin Trust has hit a major, unexpected problem – they do not have enough volunteers to run their expanding fleet. 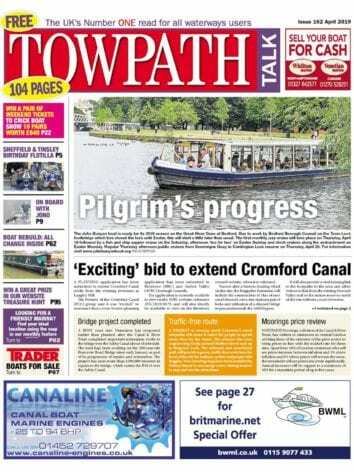 The trust launched the campaign more than a year ago (Towpath Talk, March 2018) to build the £130,000 boat and it is hoped that it will be in service this summer, providing they can find volunteer skippers and crew to run it along with their other two boats. Trust representative Alasdair Macintyre said: “We had 45 volunteers when we started the appeal but some were quite elderly and have decided not to continue. 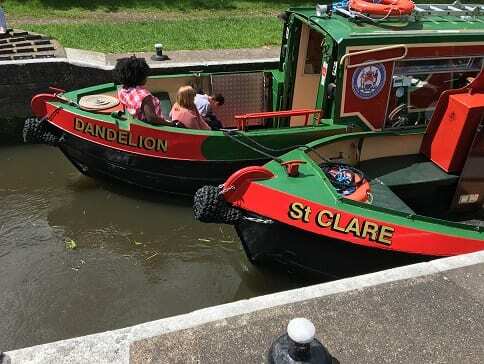 The trust already has two narrowboats, the Dandelion and St Clare, but unless more volunteers are recruited their new 68ft flagship will remain on its mooring. What could be considered as part of the problem is the amazing success of the services provided by the Baldwin Trust with around 2,000 members of the local community taking advantage of their boat trips during 2018. “The demand for boat trips from disadvantaged people of all ages has been incredible, ” said Alasdair. The trust’s boats are extremely user friendly and are fitted with ramps and lifts for those in wheelchairs or with mobility issues. The charity also arranges trips for family groups, community groups, church groups and special occasions, apart from those specially for the disadvantaged. Pub stops along the way are an added bonus. When the new boat becomes operational the trust is planning to build a similar craft, bringing the fleet up to four. “We certainly will need a huge team of volunteers by then,” said Alasdair, who added that the vessels would be based at Pillings Lock Marina, near Loughborough, and Leicester Marina, Thurmaston. To find out more visit the trust’s website www.baldwintrust.co.uk where there is an application form. Alternatively write to The Secretary, 52 Johnson Road, Birstall, Leicester, LE4 3AS.